LONDON, January 16, 2018 / — Five new YOTELPAD deals mark YOTEL’s arrival in the extended stay segment reinforcing the brand’s ability to optimise space through clever design and smart technology. YOTEL today announced their foray into the extended stay segment with the launch of the new YOTELPAD brand. Building on the clever design principles of YOTEL and YOTELAIR cabins, YOTELPAD translates the essence of luxury serviced apartments into purposefully designed compact homes, known as ‘PADs‘, fulfilling the requirements of the global citizen at an affordable price. 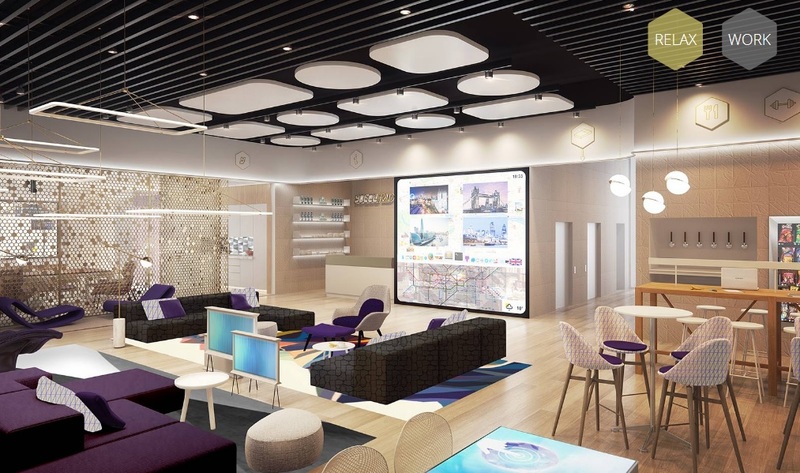 “Following the successful roll out of YOTELAIR and YOTEL, we saw a natural opportunity to rethink the traditional extended stay segment in the same fashion we disrupted conventional hotel models,” said Hubert Viriot – YOTEL CEO. Commenting, Jo Berrington – VP Brand said, “YOTELPAD will transcend traditional boundaries with a blend of hotel-quality standards and home-like comforts, all achieved through our signature design DNA making the most out of compact spaces. Not only does this allow each guest or owner to have a fully functional private PAD, but with the added benefit to work, connect, relax and socialise in multifunctional and fun spaces, creating a strong sense of community,” continued Berrington. YOTEL launches YOTELPAD – a smarter way of living. Five new YOTELPAD deals mark YOTEL’s arrival in the extended stay segment reinforcing the brand’s ability to optimise space through clever design and smart technology. “True to the YOTEL brand, PAD will be underpinned by our passion for technology and innovation; our seamless digital guest experience delivered via the YOTELPAD app. In addition to the obvious app functionality of booking and checking in and out, our app will be your digital key and a go to place for ordering amenities and ‘food-to-go’. Acting as a pocket size virtual concierge, the app will connect you directly to a range of services and experiences in the local community,” continued Berrington. “The added benefit of introducing YOTELPAD to our portfolio, is that it not only allows us to enter a new market segment, but also enables us to operate in new locations, not naturally suited to our YOTEL and YOTELAIR brands. Our recent partnership with REPLAY has been extraordinary – realizing just how much potential there is for our new brand in the destination resort market. We are confident that YOTELPAD Park City will be a tremendous success and we are now looking at multiple opportunities with REPLAY,” said Hubert Viriot, YOTEL CEO. “Alongside our existing brands, we see huge potential for the development of YOTELPAD globally. YOTELPADs can be stand-alone or form part of a mixed-use development including a YOTEL. Each PAD will be operated by YOTEL and can be owned by individual or institutional investors,” concluded Viriot.